I've been reading some interviews with Steve Marsh who did the bulk of the writing on the Expert Rulebook (amazing how we remember/credit the editors of such projects rather than the folks who do the bulk of the writing, no offense meant to Mr. Cook). Anyway, what Steve suggested is that particularly strong vampires (12HD+?) shouldn't be so easy to kill. The 1e MM gives some details regarding sunlight damage by round, and a note that staking a vampire only kills a vampire as long as the stake remains in the vampire (remove the stake, the vampire returns to life), so you have to remove its head and fill it with holy wafers. Obviously, this is very AD&D (BX would NEVER mention anything like holy wafers). What follows (below the quotes from Steve Marsh) are my interpretations for optional rules on dealing with vampires in BX/LL D&D (though I suppose it could also be used for all the other early editions as well, without much issue). For all of the following methods, a vampire that has lost HD (i.e., "levels") may only regenerate 1HD per day, and my only regenerate a total number of hit points that does not exceed his relative total per his current HD. Reducing a vampire to 0 (or fewer) HD and 0 (or fewer) hp permanently turns the vampire to dust. Sunlight: If exposed to direct sunlight while conscious and if his movement is not restricted (e.g., the vampire may not be tied down), the vampire must save vs. death ray for each round of exposure or lose 1HD and a relative number of hp (e.g., a vampire with 10HD and 80hp will lose 1HD and 8hp). If exposed to direct sunlight while unconscious, or while movement is restricted, the vampire automatically takes loses 1HD and a relative number of hp (no saving throw). 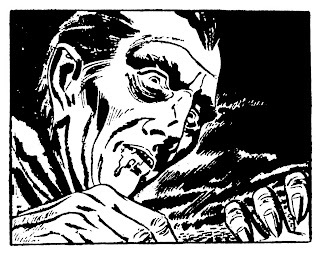 Wooden Stake: A wooden stake in a vampire's heart immediately reduces the vampire by 10HD and a relative number of hit points. If the stake is removed before the vampire has been reduced to 0hp, the vampire will regenerate HD and hp as prescribed above. Silvered Weapon: A silvered blade in a vampire's heart reduces a vampire by 1HD and a relative number of hit points for each round it remains lodged there. If the silvered blade is removed before the vampire has been reduced to 0hp, the vampire will regenerate HD and hp as prescribed above. A silvered blade may not be lodged into a vampires heart if the vampire is already staked. 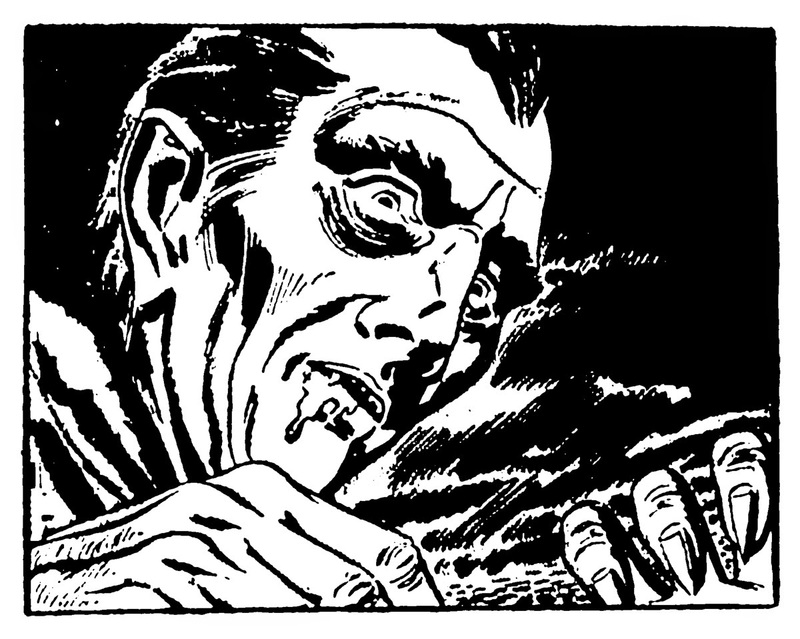 Likewise, a wooden stake may not be lodged into a vampires heart if a silvered blade has already been lodged there. Fire: Damage to a vampire by fire deals hp damage only, and does not reduce the vampire's HD. Removing a Vampire's Head: Cutting off the head of a vampire reduces it by 6HD and relative number of hp. If the vampire's head is returned to it's proper place atop the body before the vampire is reduced to 0hp, it will re-attach itself in 24 hours. Stuffing the head with garlic lowers the vampire by an additional 1HD, and prevents the head from being able to re-attach itself (unless the garlic is removed first). Burying the Vampire at a Crossroads: If the vampire is buried face down at a crossroads, any HD loss and hp damage is automatically doubled, once the dirt over the coffin has been packed down and the site is blessed by a cleric. Sunlight: Exposure to direct sunlight reduces a vampire by 1HD for each round of exposure (no saving throw). Wooden Stake: A wooden stake in a vampire's heart immediately reduces the vampire by 10HD. Silvered Weapon: A silvered blade in a vampire's heart reduces the vampire by 1HD for each round it remains lodged there. Fire: Vampires take normal damage from fire. Removing a Vampire's Head: Cutting off the head of a vampire reduces it by 6HD. Stuffing the head with garlic lowers the vampire by an additional 1HD. Burying the Vampire at a Crossroads: Burying a vampire at a crossroads immediately doubles any HD and hp loss. ... makes me wonder what happens at a disused cross-roads (e.g., washed-away, over-grown, redeveloped, etc), such that one-or-more of the four paths is effectively removed. Sounds like an adventure seed if I ever heard one. Belcraven manor, once home to a powerful vampire (Lord Xavier Belcraven), lay empty for centuries, its master killed by a group of local adventurers, and buried at a crossroads somewhere in the hills to the southwest. Locals have gone missing and rumors circulate that a vampire once again inhabits Belcraven Manor. (If the PCs investigate the crossroads, they will find them grown over and almost nonexistent from years of disuse. An open coffin in nearby hole in the ground suggests that Lord Belcraven himself has returned). I really like this. Simple and evocative. Thanks. But I have to give most of the credit to Mr. Marsh's ideas. I keep a binder of optional rules for my LL game, so I made a PDF of them for easy single-page printing. I uploaded it up publically to Google Drive. Thanks, James. I'm sure at some point I'll incorporate these with my level drain article from Dragon Horde #2, along with some other undead goodies, and put out some sort of New Big Dragon "undead supplement" (but that might be a long time coming).